Mix all ingredients until well blended. Fold in optional chocolate chips if using. 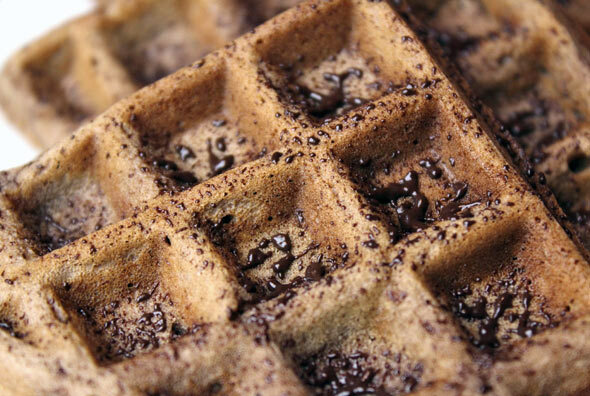 Pour batter for waffle into center of hot waffle iron. Bake about 5 minutes or until steaming stops. Remove and serve with favorite syrup (or try chocolate sauce and whipped cream if making for desert). 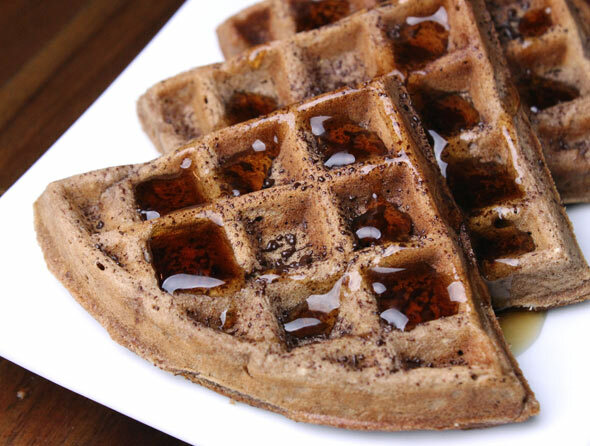 I increased the amount of oil to 1/4 cup because I don't like to spray my waffle iron with cooking spray. I recommend increasing the amount of oil or using cooking spray so these waffles don't stick at all to the waffle iron. 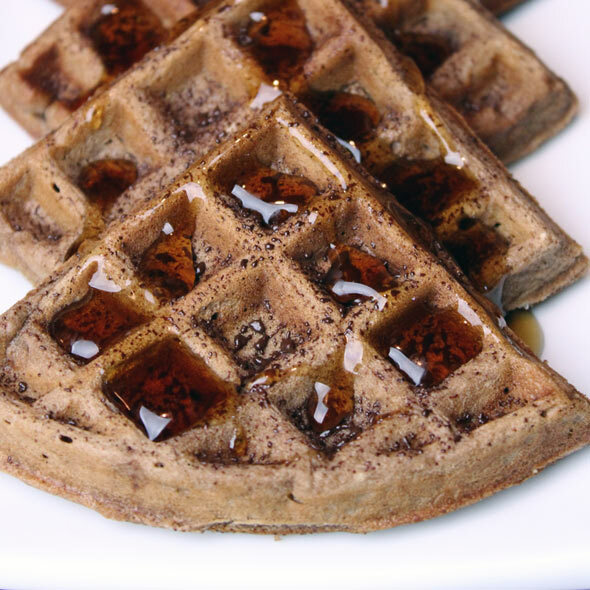 An easy to make chocolate waffle recipe that requires Bisquick or a similar baking mix. For an extra burst of chocolate, you can sprinkle a handful of chocolate chips into the batter. Mr Breakfast would like to thank t92962 for this recipe. Recipe number 901. Submitted 3/29/2003.